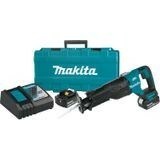 18V LXT Lithium‑Ion Brushless Cordless Recipro Saw Kit (5.0Ah) | Tallman Equipment Co., Inc.
Makita, a pioneer in brushless motor technology and battery innovation, combines both in the 18V LXT® Lithium-Ion Brushless Recipro Saw Kit. 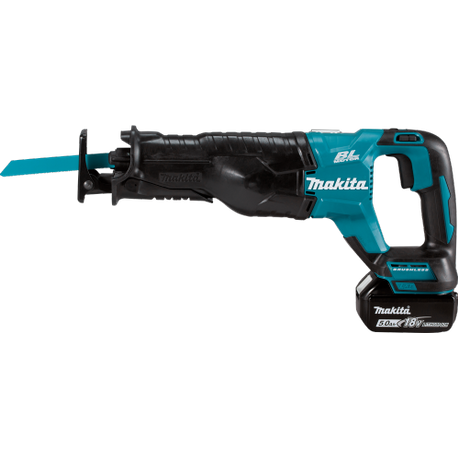 It has an electronically-controlled BL™ Brushless motor that matches torque and RPM to the application, and is powered by the industry’s fastest charging 18V lithium-ion batteries. 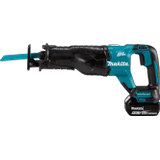 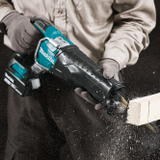 With Makita, users can remain in one battery platform, using the same fast-charging 18V batteries on the XRJ05T as they use across the Makita 18V LXT® cordless tool line-up. 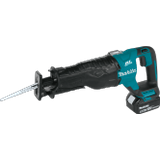 The XRJ05T is equipped with efficiency features for faster cutting. 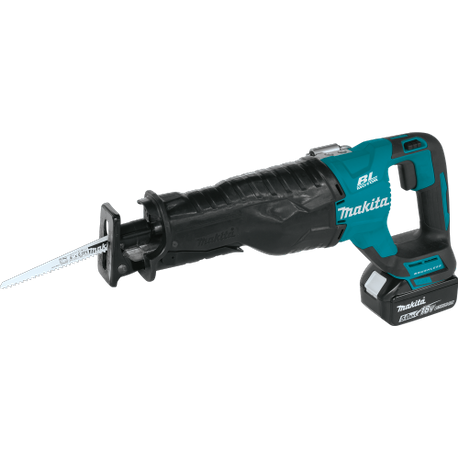 The long 1-1/4” stroke length increases cutting efficiency, and the refined crank mechanism design minimizes blade deflection and reduces vibration. Convenience features include an L.E.D. 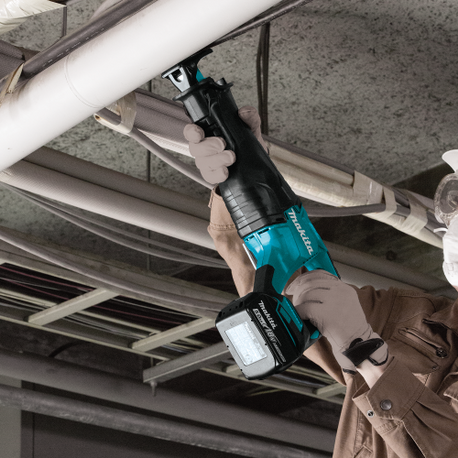 light to illuminate the line of cut, a retractable tool hook, and “tool-less” blade change for faster blade installation and removal.